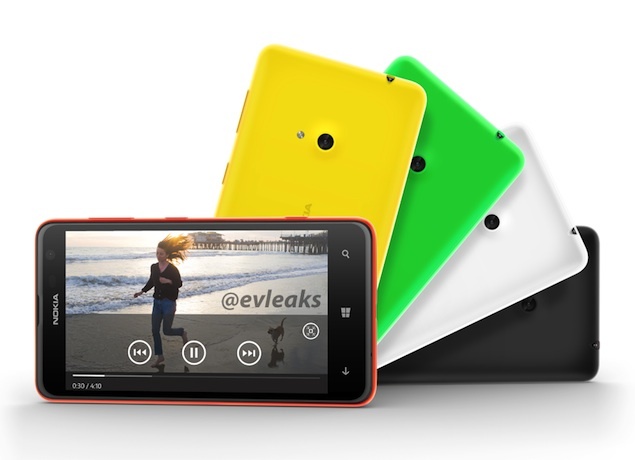 The Nokia Lumia 625 has a 4.7-inch IPS display with 480×800 pixel resolution. The display has been protected by the Corning Gorilla Glass 2 technology. Nokia Lumia 625 has a dual-core 1.2 GHz Qualcomm Snapdragon S4 (MSM8930) processor with mere 512 MB RAM which was quit disappointing and 8 GB on-board internal storage and cab be expandable up to 64 GB via micro SD card. Lumia 625 has 5 megapixel camera with LED flash which is capable to record full 1080p HD videos, and. Phone has also front facing VGA camera can be used for Video Calling and self-portraits with the new Nokia Glam me app. Phone comes with all connectivity options like WLAN, Bluetooth 4.0 Low Energy, GPS with A-GPS and GLONASS support and 3.5 mm Audio port. Lumia 625 includes Dolby Surround which enhances the audio through headphone. Nokia come with 2000 mAh battery large battery capacity which gives about 15 hours of talk time over 3G networks. The Prebooking of Nokia Lumia 625 is started through Snapdeal, and the phone is likely to be priced around Rs 14,000.